Many of us have often thought about collecting seeds to grow our own flowers next year. Perhaps it’s time to experiment. Keep in mind that you may not get what you expect. Hybrid species do not always reproduce and bees are notorious for tromping through any pollen they come across. The adventure for the gardener that begins with seed collection from this year’s garden may lead to more flowers like this years’ crop, outlandish throwback varieties or even new, improved hybrids. Allow blooms to fade and seed pods to form. 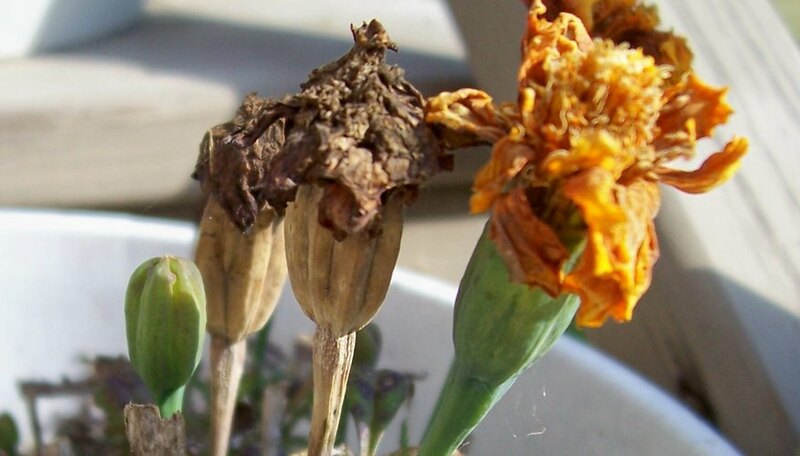 Cutting flowers and deadheading blown blooms not only tidies up flower plants, it also prevents plants from “going to seed” and extends the period of bloom. To have seeds to harvest, allow a few branches or scapes to go through the complete cycle of seed production to form seed cases and pods. Protect the pods and allow them to dry completely before you harvest them. If the seed pods are in a place where they get knocked around, tie a nylon stocking toe or piece of open-weave fabric like tulle or nylon net around the stalk to catch seeds. Harvest pods by snapping or snipping seed heads into small containers like aerosol can tops, prescription bottles or cardboard jewelry boxes and larger branches into bowls or shoe boxes. Use any clean collection receptacle that does not have seams into which the seeds can disappear. Collect one species at a time so that you don’t mix them up. Break or shake seed heads onto a piece of white paper to dislodge all the seeds. If they don’t fall out naturally, they aren’t ripe enough; let them sit in a warm, dry place to finish drying. Pick out the “chaff’—the leftover parts of the seed pod, stems as well as any stray insects that may have ridden in on the seed pods. Store seeds in paper envelopes. Label each envelope with the name of the variety harvested (plus the Latin name if you’re participating in a seed-trading co-op) and the date you harvested them. Small coin envelopes are available at office supply stores; you can make your own or use small business envelopes. Store the envelopes in a cool, dry place like the refrigerator. If you keep them in the basement or garage, pack the envelopes into a shoebox or plastic coffee can to keep the insects away. If mice are a problem, use a coffee can or clean paint to protect your seeds. Many perennials are easier to propagate by divisions or cutting. Perennials like hostas and day lilies that may produce good quantities of seed may take several years to produce blooms from seed-started plants. Seeds, on the other hand, may hold the genetic code for new "sports" or varieties. Chill but don't freeze your seeds until planting time. Seeds lack natural insulators against the dehydration that occurs in the refrigerator that seed pods and dirt provide in nature. Unprotected seed collections attract field mice, spiders, ants and other winter visitors. Some seed pods have defenses against predators; hollyhocks have sliver-like fibers that can irritate the skin. Dried seed pods often have sharp edges. Wear garden gloves when handling pods and chaff. What Flower Part Contains Egg Cells?